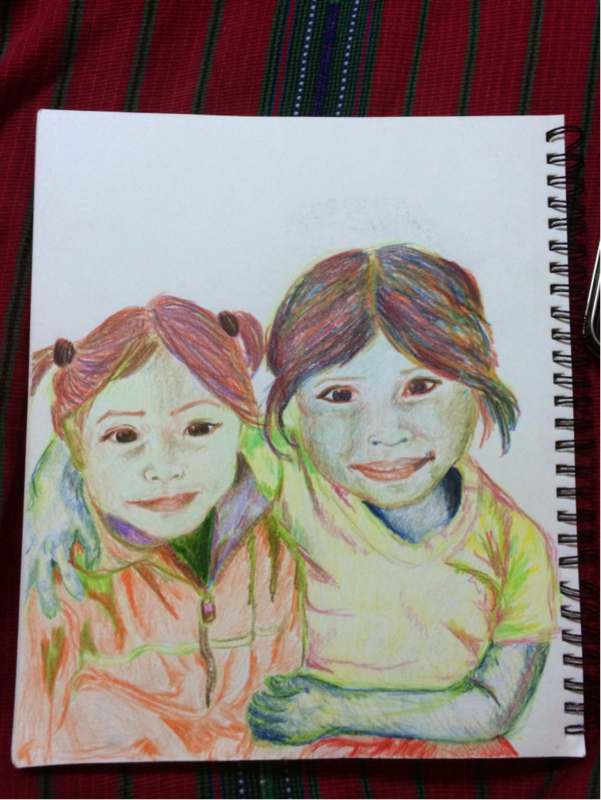 This is a drawing of my two favorite girls from the first time I went to Cooperativa in Chaquijyá. Both of these girls were not in the class that we taught, but were eager to hang out with us. The class that we taught this day was on the importance of dental health. I was amazed at the amount of 6 and 7 year olds that already had rotted out teeth. We used a few examples with an egg and an apple to represent what happens to the tooth and its enamel when you don’t brush your teeth. The kids were incredibly receptive and were able to identify what foods and drinks are good and bad for your teeth along with the reason that they are bad for your teeth. This class was a little insane because school was cancelled the previous day, causing us to teach two sections of first graders together. However, the kids were still able to take a lot from the lesson and I was glad that we could give them handouts to take home on how to brush their teeth. I hate that we couldn’t purchase enough toothbrushes in order to give one to each child at the school, but hope there is a way that could be done so in the future. This drawing in particular is of a photo I took of two little girls insisting on having a photo shoot. They had such colorful little personalities, pulling their friends in the photos or requesting to have their solo shots. I loved the outgoing and carefree spirit of these little girls and it breaks my heart that they will probably never have the opportunities that I have. This day was a great first day of breaking out of comfort zones and trying to make connections.